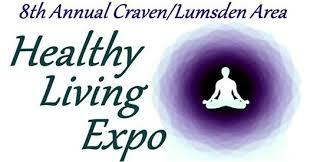 April 12th, 13th and 14th, Grace will be at Lumsden Centennial Hall. (40 3 Ave, Lumsden, SK) I look forward to seeing you there! 2 floors of vendors, products, services, and information that invite everyone to expand their awareness of all the aspects to health - whether in our foods, our activities, the products we use in our home, the environment that we live in, our bodies, our souls, or our spirits. We have worked hard to offer a broad range of booths and info sessions so that there is something that interests everyone and a little something for everyone to learn. Come for the day (or multiple days!) Our concession will be offering delicious hot food with vegan and gluten-free options and the information sessions will provide plenty of variety throughout the day. $2 admission. Door Prizes. Proceeds to Regina Cat Rescue.